When successful athletes execute any winning moves, they repeatedly visualize themselves making those moves in their minds. In time those moves become ingrained so that when the opportunities arise, those moves take place automatically, for the win. In the book The 7 Habits of Highly Effective People, Stephen Covey shares that everything is created twice. That is before something is created in the material world, it is first created in our minds. Experience suggests this is true. Once humans think or create an idea we begin to visualize the outcome and emotionally connect with that vision, making it only a matter of time before it becomes a reality. 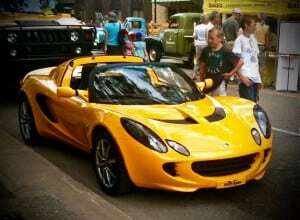 Think for example of buying a yellow 2-door sports car. Once the image of this becomes engrained in the mind along with the desire to acquire it becoming strong, one begins to notice on the road every single yellow 2-door sports car. Before we know it, we find ourselves in the showroom making the deal. A tool that has the power to bring vision to life and to keep it in the forefront at all time is the Vision Board. 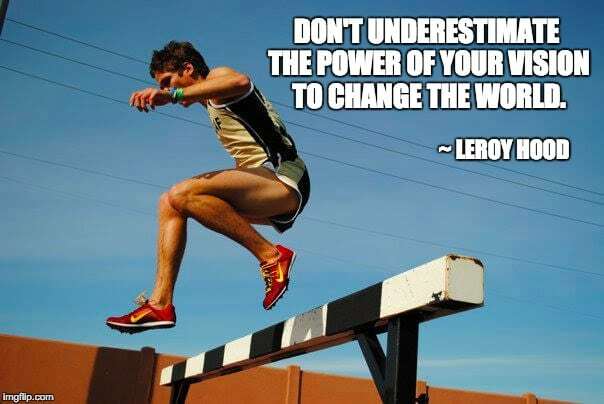 It is powerful for individuals as well as has utility for teams and for organizations. In this post, we focus on the individual use of the Vision Board to help an individual stay focused and on track to achieve their desired result. 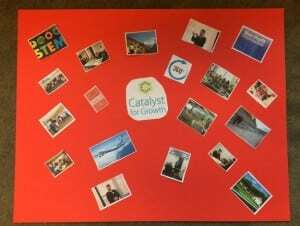 The Vision Board shown here, while simply crafted, is a profound representation of an individual’s vision of themselves. The images have helped the creator stay focused on their vision and stay the course, while taking action to bring their vision to life. In co-author Vinay Kumar’s case, he produced his new book using this vision board to remain clear and focused. How does one create a Vision Board? There are several ways. Follow the steps below to create one like the example above. 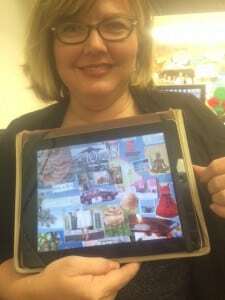 You can also create a Vision Board online using a digital Vision Board app. The free Success Vision Board app allows you to create a digital Vision Board. The app was created by Jack Canfield, author of the well-known “Chicken Soup for the Soul” series of books. He strongly believes in the power of visualization and promotes the use of vision boards of all types. 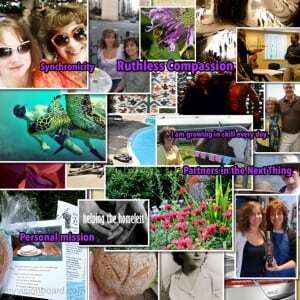 With the Success Vision Board app you can share your Vision Board with others who are using the app as well. Set aside couple of hours to complete your vision board. Go to a quiet space where you can concentrate on yourself for a little while. Create a relaxing atmosphere. Play music in the background that inspires you. Light a few candles if you want. Close your eyes and take a moment to reflect on your big goals and dreams. What do you want your ideal life to look like, say 3 years from now. Think about what you want to be, do, and have? Envision yourself being, doing, having those things and feel what it feels like to have that vision materialized. Cut out images from magazines that represent the life you want to live. For example, if you want to become a marathon runner, you might clip photos of people running the Marine Corp marathon. Include photos as part of your vision board for this helps to make it look and feel even more personal. Then, paste your magazine images on your board. Of course, there’s no one “right way” to arrange your images. You can fill the board with pictures or just have a few posted all over on the board as it appeals to you. Use your colored markers to write your headlines onto your vision board. You can also just cut out words or phrases from magazines and paste on your board that remind you of the life you want to live. Display your vision board somewhere you’ll see it every day and feel inspired! If you like, you can also frame your vision board and hang it on your wall. Or take a photo of your vision board to keep it handy on your smartphone, computer or tablet. Deb’s first ever vision board shown to the right is mix of family, business, lifestyle and learning. From this you might want to construct specific vision boards focusing on your business and lifestyle goals, as well as family and marriage goals. Whatever method you use, keep your Vision Board somewhere handy. Post it in your office or somewhere where you’ll see it daily. You can also take a photo of it to have it easily available on your tablet, smartphone or computer, as shown in the photo on the left, as Deb’s colleague Kimberley Barker has done (below). And there you have it – how to create a vision board to support reaching your goals. We wish you the very best. Should you have any questions or would like any additional information, please reach out to us. The authors: Deborah Nystrom, Elizabeth Lucas, and Vinay Kumar are senior partners at Ideas for Action, LLC—a consulting practice that is driven by a passion to empower the potential of people and organizations. Their experience includes association, nonprofit and higher education leadership, governance, and management; strategic planning; and coaching. They welcome an introductory conversation with you – please contact them at info@ideasforactionllc.com.